Although the gender pay gap is narrowing, it still affects women all over the world, whose salaries are 23% lower than men’s. The same dramatic trend also maintains in sports, where women earn around 76,6% of what their male counterparts usually do. 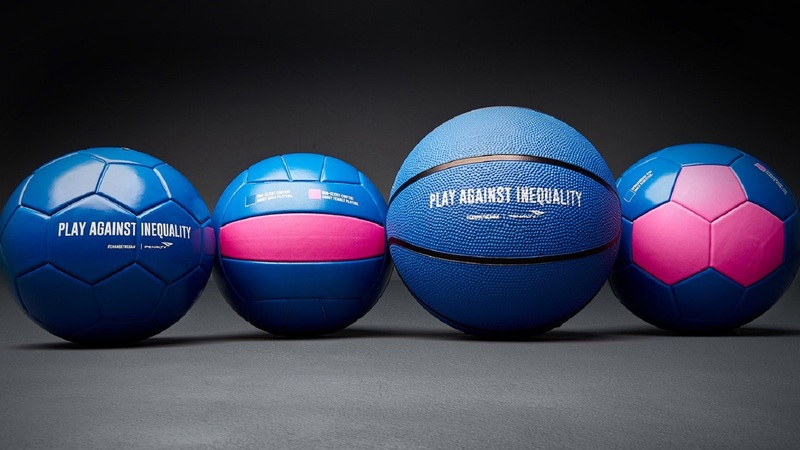 To draw attention to this social issue that continues to affect women athletes, espnW Brasil platform, ESPN‘s section dedicated to women who love sports, partnered with Penalty and sports retailer Netshoes and launched the “Inequality Balls” campaign. It cleverly highlights the huge pay gap that sets men apart from women. 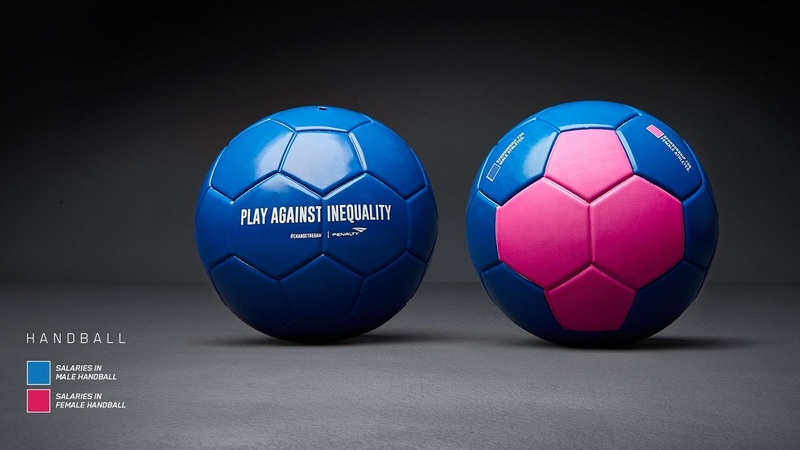 Ad agency Africa stands behind this idea and aims to kick these disparities using a series of balls provided by Penalty—Brazil’s largest company specialized in sports products—out of the playground. 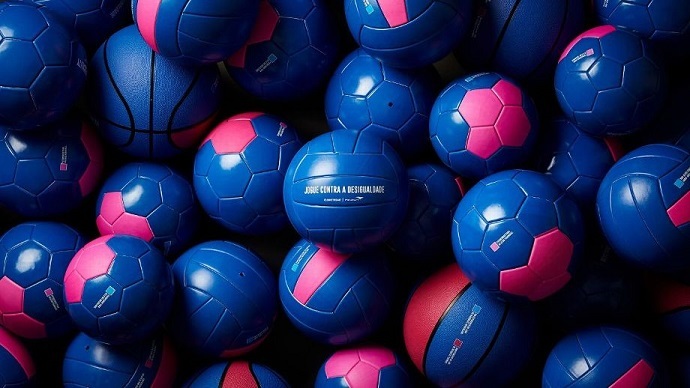 The project spins around an original collection of balls—from basketball and soccer to volleyball and handball—each painted using two colors: blue, the shade used to represent men, and pink, which stands for the ladies. To faithfully reflect the real-life scenario, the colors aren’t distributed equally; and it should come as no surprise that, in this context, the blue color dominates the pink one. 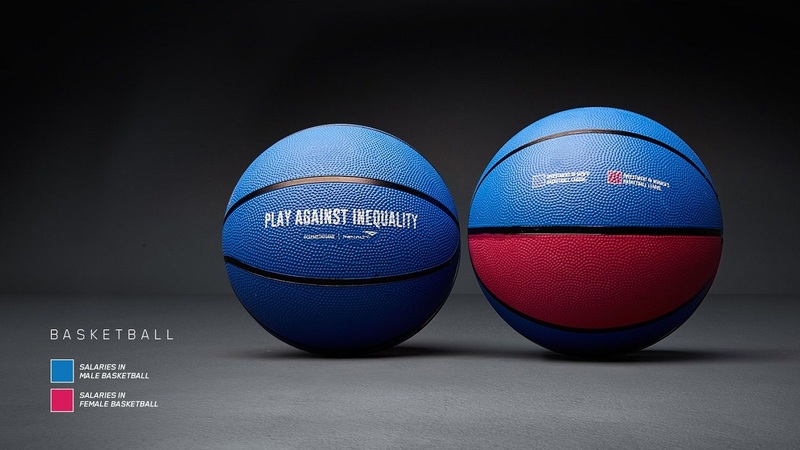 Drawing inspiration from the “Global Sports Salaries Survey,” conducted by British newspaper Sporting Intelligence, the agency changed the looks of basketballs, soccer balls, handballs, and volleyballs and adjusted them accordingly to visually represent this age-old problem. Just to make an idea of what happens in such male-dominated industry, a female basketball player earns up to 96 times less than her male counterpart. Although with slightly different percentages, the “rule” stays the same within other sports too, in which men are far more applauded than women. 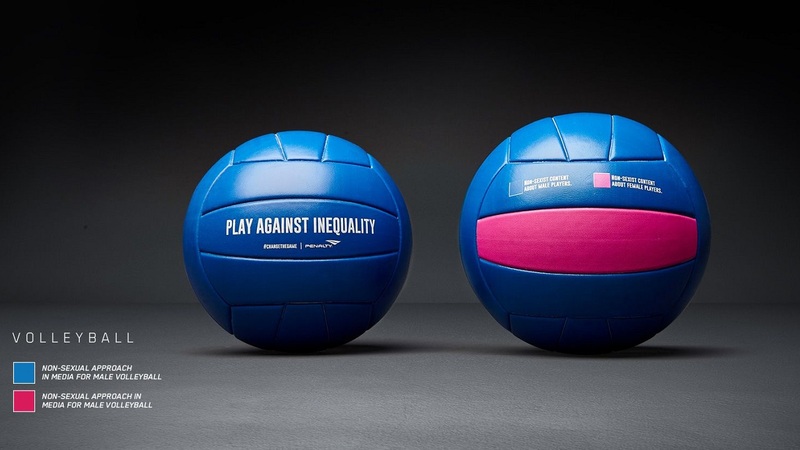 The Inequality Balls are for sale and will be distributed across Brazil by Latin America’s leading sports online retailer, Netshoes. All profits will go towards Think Olga, an NGO that’s committed to empowering women through information. 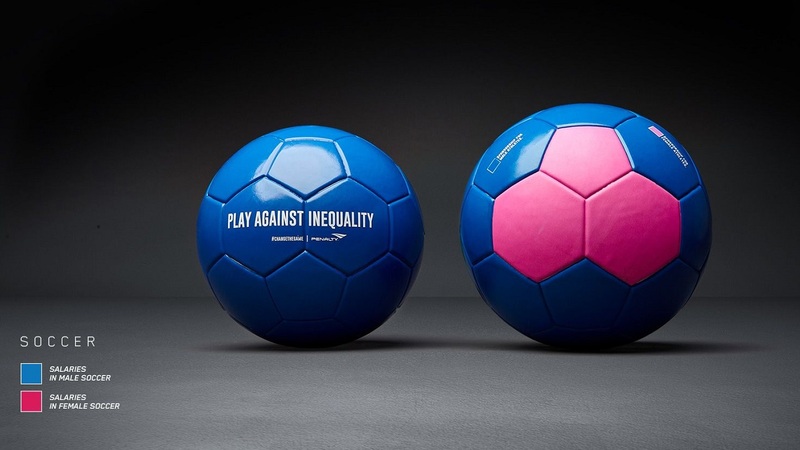 “We are very happy to participate in this action and take Inequality Balls throughout Brazil. Netshoes is always on the lookout for new opportunities to inspire and transform people’s lives with more sport and recreation. This is an important initiative that seeks to democratize and support gender equality in the sports categories,” said André Shinohara, CSMO of Netshoes. The campaign is supported by a 60-second-long video, courtesy of the Sao Paolo-based agency, and features some of Brazil’s most appreciated female athletes such as volleyball players Jaqueline Silva, Virna Dias, Betina Schmidt, and Camila Brait; football player Alline Calandrini; and football freestyler Marisa Cintra. With this project, espnW channel elegantly ended the month dedicated to women, March, presenting this initiative as a reliable ally onto which women can count in their fight against inequality, their biggest opponent. The ball is in play. But which side of the playground are you? Join the campaign and #changethegame!